The power of the mind and how our attitude plays a vital part of our success in life. Consciously, or unconsciously, we decide the life we want to lead. Our attitude, mindset and beliefs will fuel our day with either positive or negative energy. Keep in mind that optimism is a defining factor of success. Optimism and a positive attitude can lead to improved health, better relationships, and more work opportunities. It can also create inner peace. Stress and fear can drain your positive energy. One of my first bosses gave me valuable advice I’ve never forgotten: “Never present a problem without envisioning a possible solution. Otherwise, it just sounds like you’re complaining.” Catch yourself when you start complaining. Think of a possible solution to what irritates you instead. Voice your solutions more often than your complaints. Only solutions change the world. Complaints only serve to further irritate yourself and those around you. The core of how we live our lives is based on our beliefs. Our beliefs are what we value. If your life is not what you had hoped for – examine your beliefs. Are they yours – or did you acquire them from someone else? Many beliefs are passed down from one generation to the next, and never questioned. I suggest you question them. Common beliefs that hold people back include thoughts such as: “I’m too old to change careers,” “I don’t have enough education,” “I need more money before I can be happy,” “Money is the root of all evil,” and so on. The list can be endless. 1. Ignore the daily news. The focus is largely negative. 2. Read books that will inspire you. 3. Engage in activities you enjoy more often. 4. Spend time in nature every day – if only for a few minutes. 5. Keep a Gratitude Journal of 5 things you are grateful for each day. Express gratitude for what you have. Gratitude journals have become popular because it’s hard to express gratitude and be miserable at the same time. 6. Watch movies you find in the Comedy section. Laughter is good medicine. 7. Seek out friends who appear to be happy and joyful. It was Viktor Frankl, author of Man’s Search for Meaning, who convinced me that “he who knows the ‘why’ of his existence can bear any ‘how.’ It was by knowing his ‘why’, that he was able to survive many years in a concentration camp. It’s important for you to understand your own ‘why.’ What’s your purpose for choosing to live and work as you have? Knowing your purpose will energize you. A ‘dream job’ won’t just drop out of the sky and land in your lap. You need to go within to uncover your core values, interests, gifts, the skills you have or want to develop, and the geographic location you want to live in – then you create it! 2. Believe you can get it. 3. Feel happy you can attain it. 4. Stay focused on what you want. 5. Keep taking steps to achieve your dream. 6. Count your blessings along the way. 7. Celebrate each milestone – big and small. Uncover the meaning of your life by using your inborn gifts and talents to serve others. If you don’t know what they are, seek help to uncover them. These are the ‘insider secrets’ happy people have discovered. Do you have dreams you’d like to transform into reality? Like this article and want to re-post it? I’d be honored! Please include the information below. Thank-you. Janine L. Moore. Author. Career Counsellor. Workshop Facilitator. 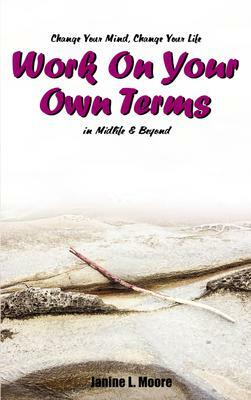 Janine explores these issues further in her book, Work On Your Own Terms in midlife & beyond. She has been a Career Counselor for more than 20 years and loves to help Boomer women get truly excited about their work! It drives her crazy when she sees people sending out endless Resumes and Cover Letters for jobs they won’t enjoy. Visit her website: www.WorkOnYourOwnTerms.com to download her Free eBook, Create Career Joy! It will help get you started on your ideal work path. Thanks for a great article Jan! After a disabling accident in 1978, I was forced to concentrate on the things I still had. I reminded myself to be grateful that I hadn't died in the wreck and was still there to watch my children grow. As the list of things I would no longer be allowed to do lengthened, I was grateful for those things I had left. After nearly three years of rehab, I finally returned to work full-time and had a very productive career. Do I miss the things I can't do any longer? Of course I do, but I don't dwell on them. I simply feel very blessed that I have all the wonderful things in life that are meaningful for me. Thank you for reminding everyone to be grateful for what they have. 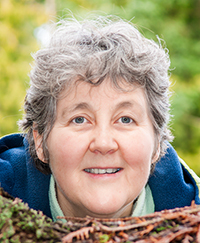 Janine I'm delighted to host you and share the special message of a positive mental attitude.